Tired of lower back pain? Million suffer from the pinching tightness in the lower back as a constant reminder of our sedentary lifestyle. 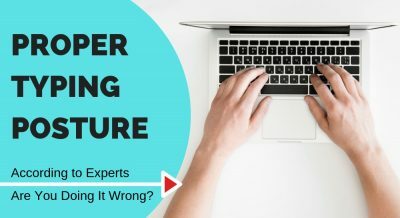 Whether it is hours of sitting at the desk hunched over a computer or a long tedious commute to work, sitting for extended periods of time can wreak havoc on your poor spine. However, the reality of the matter is that sitting itself doesn’t do that damage as much as the way you sit. The posture you maintain while sitting determines how much strain you put on your lower back. Thankfully, we have remarkably simple tools to make sure we maintain the optimal posture while sitting: lumbar cushions. 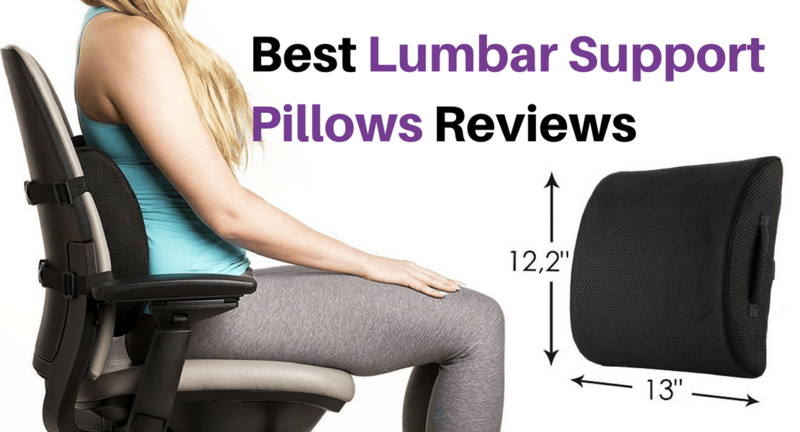 In this guide, we review the best lumbar support cushions and pillows to get rid of that nagging lower back pain. Moreover, our panel of experts will answer common questions from our audience related to lower back ergonomics and how lumbar cushions play a part in improving them. Let’s delve into what lumbar cushions are for starters. These are portable cushions designed to provide necessary support to the lower back and attach to your office chair or car seat with little to no hassle. They are generally inexpensive and have a curved profile to complement the natural curve of the spine. There is a wide variety of lumbar support cushions with subtle differences which we will be highlighting in our reviews. They are available in a couple of different designs in a variety of materials touting a number of attractive features which we will help you make sense of. At the end of the guide, you should be able to choose the best lumbar support cushion for your specific needs. 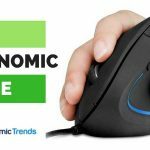 As the number 1 bestseller on Amazon in the lumbar pillows segment, Everlasting Comfort’s orthopaedic lumbar support pillow has proven to be a high performance product. It features a well thought out design and gives you great value for money at around $25. The cushion is created using premium grade memory foam that works remarkably well in conforming to the contours of your spine. This not only keeps your lower back in check but alleviates pressure along your entire spine by forcing you to sit up straight. The material responds to pressure and body heat to become more supple as you sit. Moreover, it also has the wonderful property of quickly returning to its original shape once the pressure and heat is removed, making it easily usable for multiple people with different body dimensions. Everlasting Comfort’s universal curve structure coupled with the compliancy of memory foam give this cushion nearly perfect ergonomics. They have gone an extra step by giving the cushion dual straps along the back so it fits very securely to your chair or car seat. The straps are flexible and adjustable with easy clips and also come with extenders should you want to attach it to a chair with a particularly thick back. The cushion also features a mesh cover which has good airflow properties, thereby keeping you cool and preventing sweat accumulation which is a common problem with these products. The cover is also hypoallergenic and easily removable thanks to a convenient zip along the back so you can easily wash it. Another notable feature is the thin profile of the cushion at just 4.1 inches. This makes it our top recommendation for car seats as it provides necessary support without pushing you too forward and compromising your driving position, a common problem with most foam lumbar supports. The product features a lifetime warranty showing the company’s confidence in their design and manufacturing quality. That said, a few customers have reported issue with straps breaking and occasionally opening the package to find an unpleasant odour. However, all these problems are covered under the warranty and with a 4.8 star rating on the Amazon page, the general consensus is the Everlasting Comfort has created a solid product. Dual straps with extensions for a secure fit. Excellent for car seats due to thin profile and extensions. Few incidents of poor quality control with broken straps and odorous mold found on the cushion. LoveHome has provided a solid alternative to our top pick with a very competitive design that offers a lot of the features you saw in Everlasting Comfort’s offering. With a similar design and shape to our top pick, this cushion also features a memory foam construction that gives it the ability to mould itself to the shape of your spine. LoveHome also implores that the cushion will not sag over time and it provided firm but comfortable support during our testing. The cushion comes with a single strap along the back which is effective but lacks the secure grip of a dual strap design. It also comes with an extension strap for easy adaptability to larger chairs and seats. 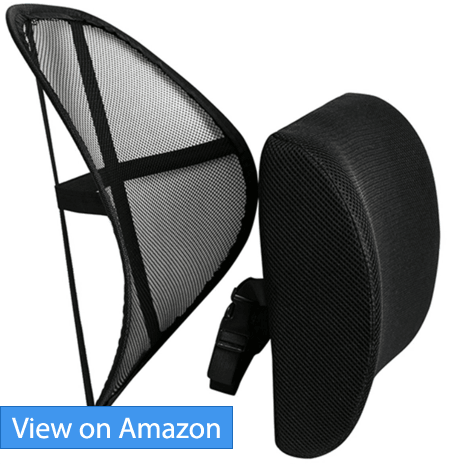 The mesh cover does a good job of keeping your back aired while also having antibacterial properties. It is also removable and washable and unlike our top pick, available in a much wider variety of colors. The cushion’s biggest advantage is that it is considerably thicker than Everlasting Comfort’s product and features a wider base. The added thickness makes it more supportive for larger chairs with deep seats and poor lumbar support while the wider base lets it fit more snugly. All in all, this cushion performs well in our tests providing comparable performance to the other top offerings. The added thickness can make it more intrusive for chairs with already reasonable lumbar support so do take that into consideration. The 60 day warranty and return period also fails to hold up to the competition. That said, the lower price of the black color model and wider variety of colors does make up for it. With a 4.4 star rating and generally quite positive reviews, this cushion is definitely worth considering. Antibacterial, removable mesh cover available in a variety of colors. Taking a step away from the conventional design of large flat cushions is McKenzie’s lumbar support roll with its rotund shape. 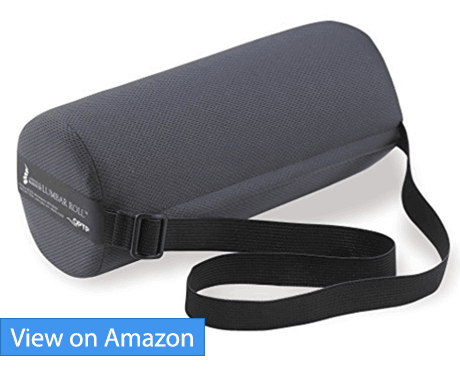 At just over $20, it is competitively priced and gives good support specifically targeted for the lower back. OPTP (Orthopedic Physical Therapy Products) is known for its loyalty to the round shape of the McKenzie orthopaedic roll, producing it for nearly 30 years. The cushion features a foam construction available in the option of standard density or firm density depending on your preference. The roll is designed to sit along the curve of the lower spine keeping your upright. The roll shape gives the cushion much smaller dimensions than the large, flat cushions we have seen thus far meaning it is far easier to carry around. The single strap works sufficiently well given the small dimensions and allows you to even fasten it around your waist. This means you can wear it and remove the hassle attaching and detaching it from chairs if you need to move around. Moreover, the use of polyester for the cover ensures it will hold up to daily wear and tear. It is also moisture wicking, pulling sweat away from the lower back allowing for easy evaporation and keeping you cool. All in all, the McKenzie roll is a portable, practical alternate to your conventional lumbar cushions. The round design provides excellent support to the mid-lower back but does prove lacking for the lower. The standard firm roll is reported to flatten over extended use so the firm option is recommended. The lack of warranty and limited testing window is a let-down especially compared to what competitors are offering. 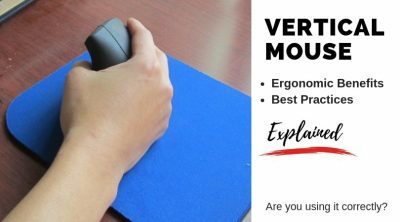 However, with a solid 4.2 star rating from a large customer base of 1800 users, the McKenzie roll is still a solid product thanks to portable design and solid ergonomic performance. Sweet Relief brings the tried and tested design we have seen from our top picks so far with an add-on to help improve its effectiveness. Its pricing and excellent feature set makes it worth considering as a great solution for lower back problems. As mentioned, this cushion features a pretty similar feature set to the products we have reviewed thus far. 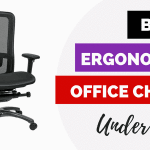 It has a conventional, ergonomic shape with memory foam construction coupled with a removable, mesh cover for breathability and easy maintenance. The cushion also comes with a single adjustable strap for secure fastening. What sets it apart is the all mesh support included with the cushion that can be used separately or alongside the cushion for additional support. This makes the product highly versatile and adaptable to a wider variety of chairs and seats. It gives you the option of added the mesh support on top of the cushion for deep seated chairs to provide additional support should you need it. The mesh support also prevents direct contact with the cushion keeping the contact area of the back sweat free thanks to the breathable nature of the material. Moreover, you have the added option of just using the mesh support for chairs that have good padding but poor contours. All in all, this makes Sweet Relief’s offering very versatile and user friendly. However, the mesh support does mean you have to carry around an additional attachment making it slightly less portable. Some customer reviews also complain about poor support although the majority (91%) give it 4 stars or more for an excellent rating of 4.6. Add in the lifetime warranty offered by the manufacturer for the foam cushion and you have a definite contender for the best lumbar support in the market. All mesh support for additional support makes the product more versatile: two supports for the price of one! Do I need a lumbar support pillow? If you suffer from poor posture with an accentuated curve and chronic back pain, a lumbar cushion is definitely recommended, especially if your routine involves extensive periods of sitting. Moreover, even if you don’t have significant back problems but have a sedentary lifestyle, these cushions can help you in the long term by promoting good posture and negating any detrimental effects you might see in the future. Prolonged sitting causes the onset of “creep”, a build-up of stress due to constantly contracted muscles and ligaments due to sitting. By providing support to the muscles and helping maintain proper posture, a lumbar cushion lowers the stress build-up. Do I need to see a doctor to get a cushion? These cushions can easily be purchased off the shelf without a prescription. If you have chronic pain or specific back problems such as Sciatica or herniated discs you should consult an orthopedist or chiropractor for a recommendation. This would ensure that you don’t get the wrong cushion which could further exacerbate your condition. How does the cushion work? The lumbar cushion has a curved shape to follow the contours of the spine. This ensures that your back is always in contact with the cushion. Without support, the muscles in your lower back remain taut to keep you supported, leading to the tell-tale build-up of lower back pain. Using the cushion is remarkably easy as you simply fasten it to the back of your chair. You will need to adjust it slightly to find the optimal position which works best for the contours of your spine. Which type of cushion is optimal for me? Size and weight: choose a cushion that suits the dimensions of your back. Shorter people would require thicker cushions in general while heavier people should go with firmer designs that are less likely to compress over time. Type of chair: chairs with padding or built in lumbar support usually require thinner lumbar support cushions that provide support without forcing you too far forward. Moreover, make sure you make a note of the dimensions of the cushion and compare it with your chair before ordering to make sure it will fit. People with a deeper lumbar curve will naturally require a thicker cushion. If you will be sharing the cushion, it would be best to get a memory foam one. 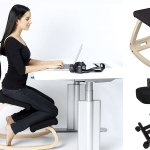 These adapt well to the contours of each user’s back and provide better support. Is a lumbar support cushion the same as a back brace? No. A back brace is designed to be worn around the waist and stabilizes the muscles by providing necessary support. 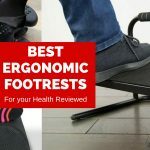 They are generally recommended for more severe conditions such as herniated discs, as a part of recovering from surgery or for people with intense physical jobs that load their back muscles. 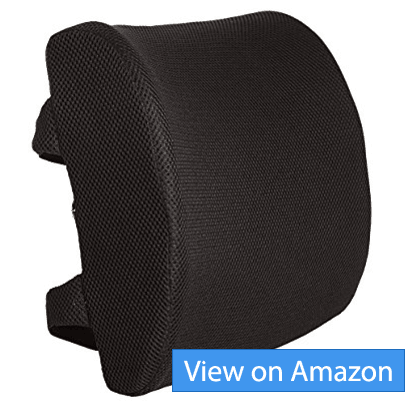 A lumbar support cushions is designed to be attached to the seat and provide support to alleviate muscle stress and promote good posture during sitting only. Will it cause a weakening of muscles? This is a common misconception with back supports in general. 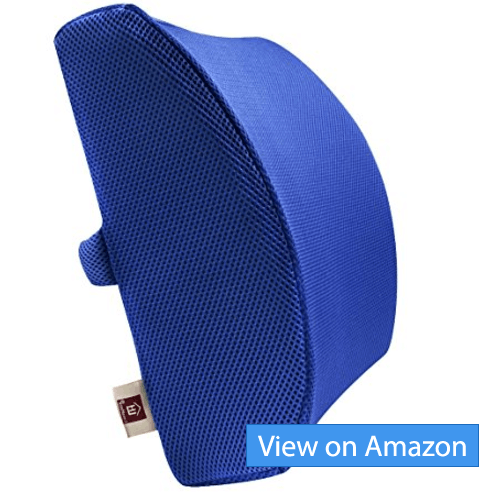 A back support cushion just provides support and promotes good posture, ridding you of the bad sitting habits. It does not weaken muscles but supports over-exerted ones while helping you strengthen weaker ones by making you sit up straighter. All in all, a lumbar cushion does an excellent job of promoting good posture and helping relieve the stresses of prolonged sitting. That said, it is just as important to instil good sitting habits if you suffer from lower back pain. Take regular breaks and stretch for short periods to loosen the muscles and ligaments. 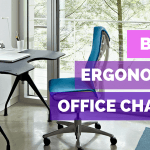 Moreover, it is vitally important to adjust your chair and desk in a neutral position that provides support and keeps you upright. By inculcating these practices along with recommended lumbar support cushions, back pain will be a thing of the past.